What do we mean by Bric-a-Brac? 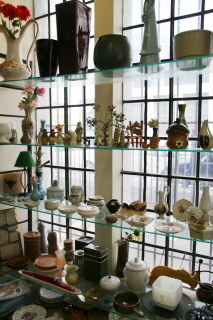 Everything from tiny ornaments selling for R5 to antique porcelain figurines selling for more than R1000. We also stock kitchenware, china, and small items of furniture as well as sportswear, tools and gardening equipment. We also have a huge vinyl record collection, mainly priced at R5 a disk. We have wonderful bargains – some people might consider it glorified junk, but others will find items of real value. One person’s junk is another’s treasure!